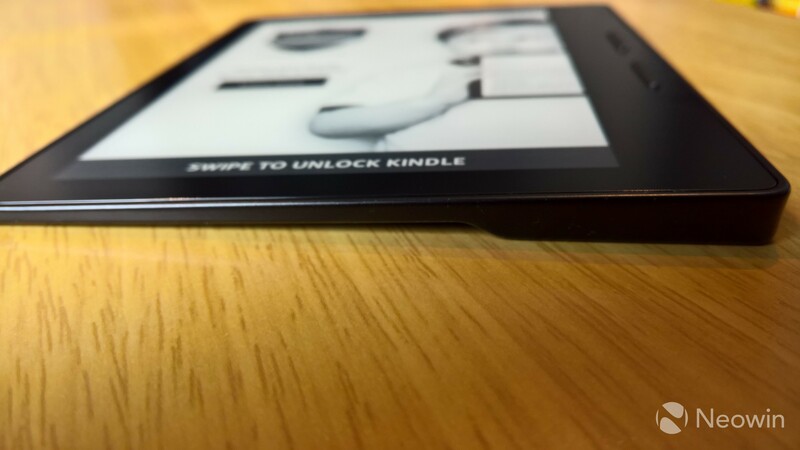 By now, we've all seen the headlines about Amazon's latest e-reader, the Kindle Oasis: it's expensive. This is true, as it can cost anywhere between $289.99 to $379.99, depending on the options you choose. The price of the basic Wi-Fi only model with Special Offers is $289.99. You can tack on an additional $20 to remove Special Offers, or you can add $70 to include free 3G service, or you can do both. This isn't my first Kindle. 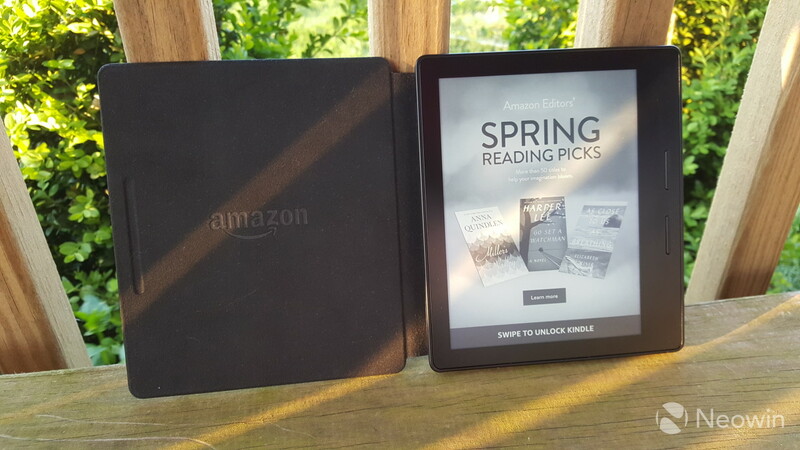 My first was a fourth-generation Wi-Fi-only Kindle that I bought for $80 to read textbooks on. 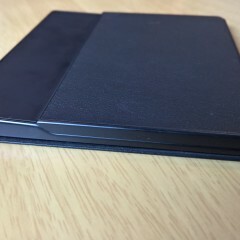 It served its purpose for the time, but eventually, it found its way into a drawer, effectively being replaced by multiple iPads that I would end up using. 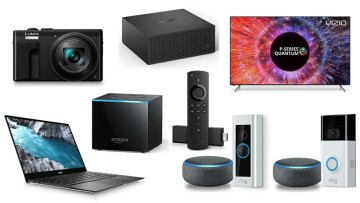 This led me to the Paperwhite, which was on sale at the time for $99.99 (normally $119.99). I bought it, but within a day or two, I knew it wasn't going to be right for me. 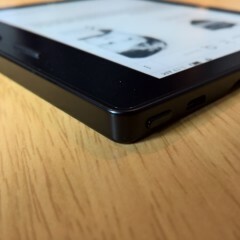 While the page-turning buttons on my old Kindle were awesome, I really didn't like the navigation buttons. Any time I had to type something, I'd have to navigate across an onscreen keyboard, which was super-annoying. But as it turns out, ditching those page-turning buttons to only have a touchscreen was hindering as well. Having to reach across and tap the screen to turn the page made it difficult to use one-handed. It makes it even more uncomfortable if you want to go to the previous page. 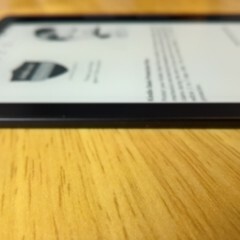 Amazon's touchscreens are set-up in a way that if you want to go to the previous page, you have to tap on a small portion of the left side of the screen, with the rest of it bringing you to the next page. Of course, you can swipe as well, but this isn't easy when trying to use it one-handed either. I also realized that a Wi-Fi only e-reader wasn't going to be enough for me, as WhisperSync is just too important. I listen to a lot of audiobooks, and I also read books on a number of different devices. 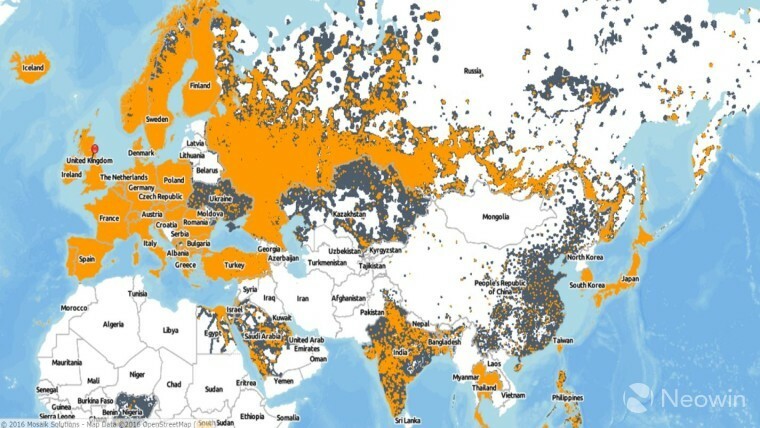 It's important that their locations sync with one another, and if I'm not on Wi-Fi when I read on the Paperwhite, it doesn't sync. 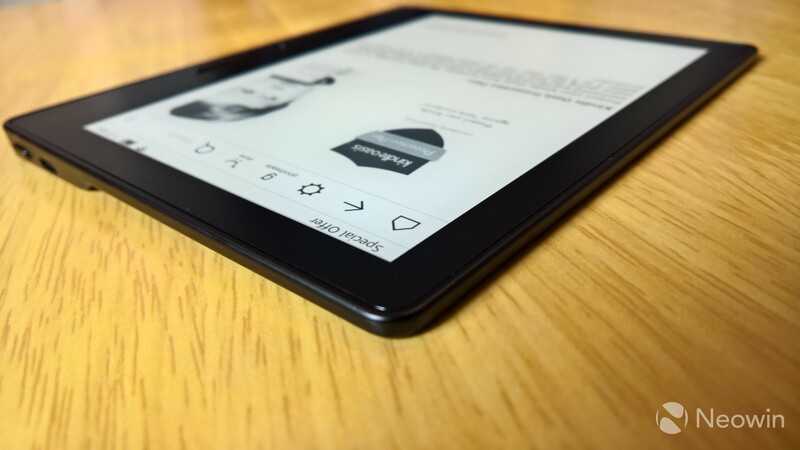 Amazon now offers four different Kindles: Kindle, Paperwhite, Voyage, and Oasis. 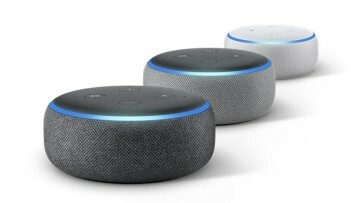 All of them except for the base model offer a 3G model for $70 more than the Wi-Fi-only version. After looking at both the Voyage and the Oasis, I decided on the Oasis (obviously). 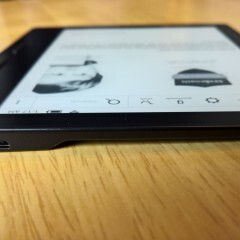 While both have page-turning buttons, the Oasis seemed designed to be held with one hand. I also decided to buy the model with Special Offers. 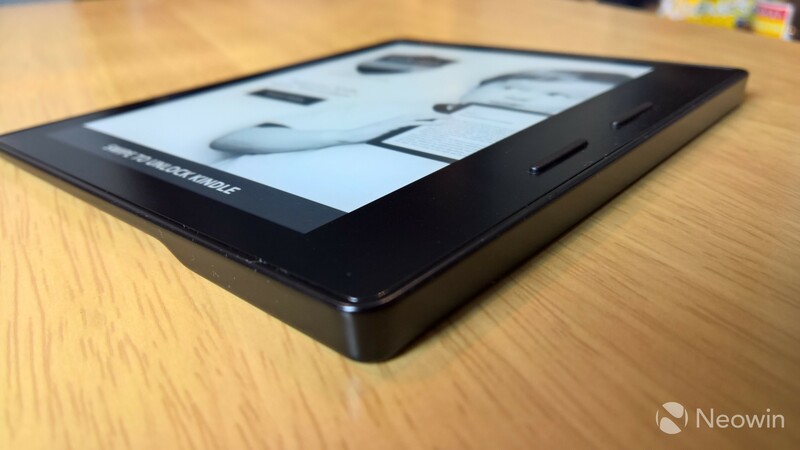 You're probably thinking, "If you're going to spend $360 on an e-reader, why not just spend $380 for a model without Special Offers?" To be honest, I actually like the Special Offers. I'm always looking for book recommendations (feel free to leave some in the comments! ), so it's not something I'd spend money to get rid of. Besides, you can pay the $20 to remove the Offers later. We live in an age where we are very close to our technology. Our phones and tablets are our constant companions, so wouldn't it make sense to want the best, most pleasant experience? You can see from the unboxing video that I was very impressed with the Oasis from the start. 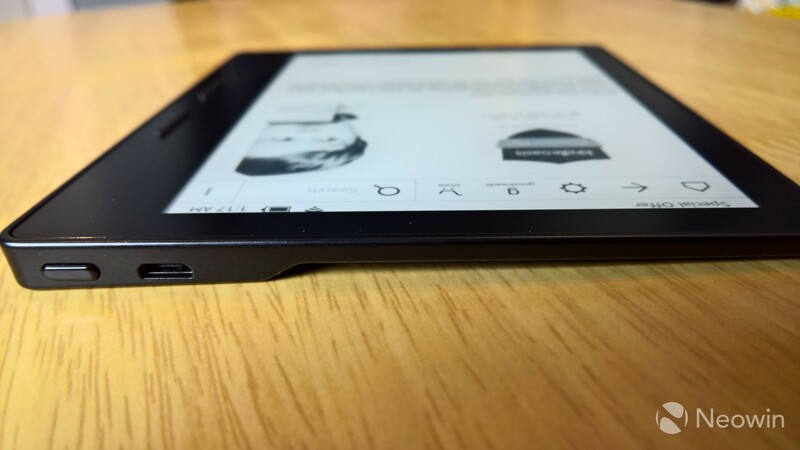 It's clearly designed to be comfortable to use and it's [almost] everything you could want from an e-reader. 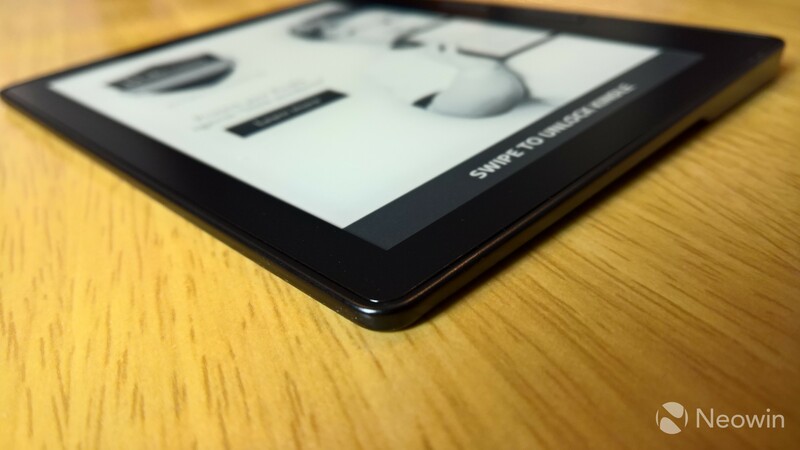 The display is the same 6-inch 300 ppi e-ink display that can also be found on the Paperwhite and Voyage. 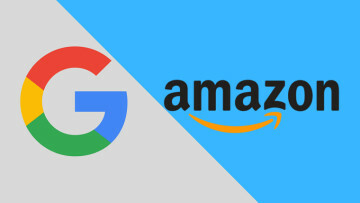 It would appear that this is what Amazon has decided is the perfect pixel density, much like how Apple has decided on 326 ppi as the minimum sweet-spot for Retina Displays on its iPhones. 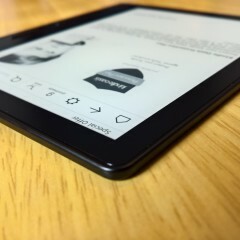 The frontlighting uses ten LEDs, in comparison with the Paperwhite's four and the Voyage's six. I knew this when I first got the Paperwhite, so I expected poor frontlighting from it, but that wasn't the case. I don't see anything about the display that differentiates the Oasis from less expensive models, and I really don't see much of a difference between four LEDs and ten LEDs either. However, there is one thing that differentiates the Voyage, which is an adaptive light sensor. This was probably the one annoyance when using the Oasis. Of course, it's a minor issue, but in different lighting conditions, you'll find yourself wanting to adjust the frontlighting and wishing that it did it automatically. 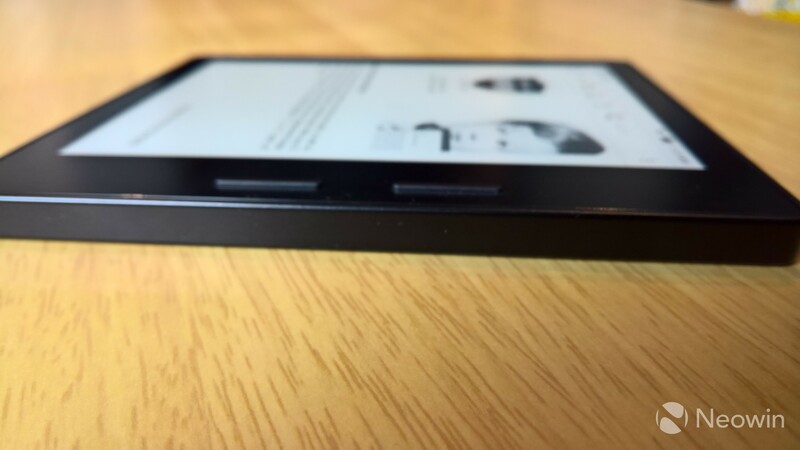 The design of the Kindle Oasis is clearly what makes it stand out from its siblings. All of the other models are a standard rectangular shape of fairly uniform thickness throughout. Obviously, the Oasis is anything but. 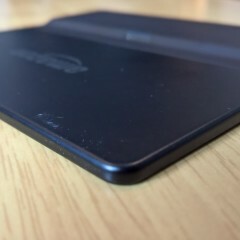 At its thinnest point, the Oasis is just 3.4 mm thick. To put that in perspective, that's less than half as thick as an iPhone 6. 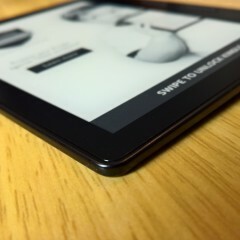 At its thickest point, it comes in at 8.5 mm, and the whole device weighs in at 133g (131g for the Wi-Fi-only model). All of this makes it incredibly comfortable to hold. 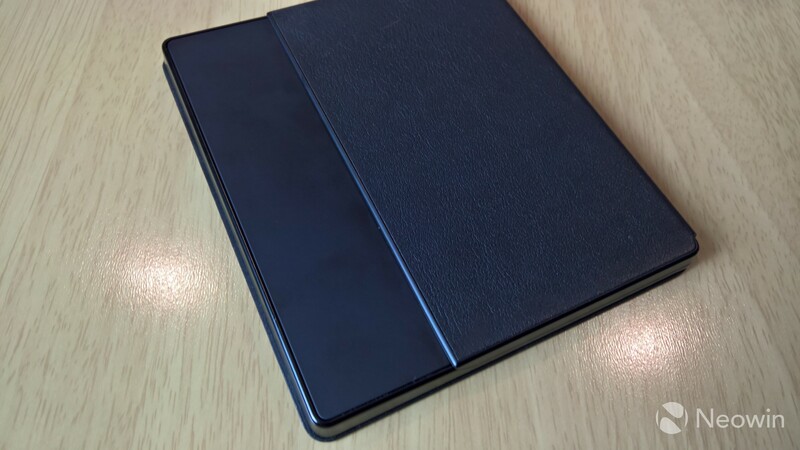 Keep in mind that the second lightest Kindle is the Voyage, which comes in at 180g for the Wi-Fi-only model, so this is significantly lighter. Of course, it's not just the weight and dimensions, but the way that it's all distributed. The bulk of the weight sits in the palm of your hand. 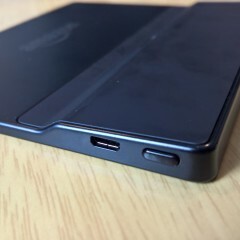 The "spine" contains the guts of the device, including the battery. In fact, if you get tired of holding it with one hand, you can flip it upside down and switch to the other. The orientation of the display changes, as it has a built-in accelerometer. And of course, the Oasis has buttons to turn the page. The top button goes to the next page and the bottom one goes to the previous page. 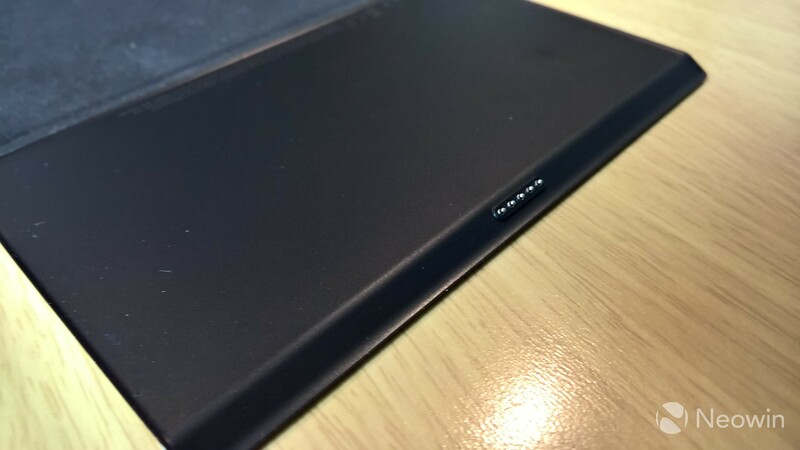 Note that it's always the top button that brings you to the next page, no matter which hand you're using to hold the device or how the display is oriented. The placement of the buttons is perfect. 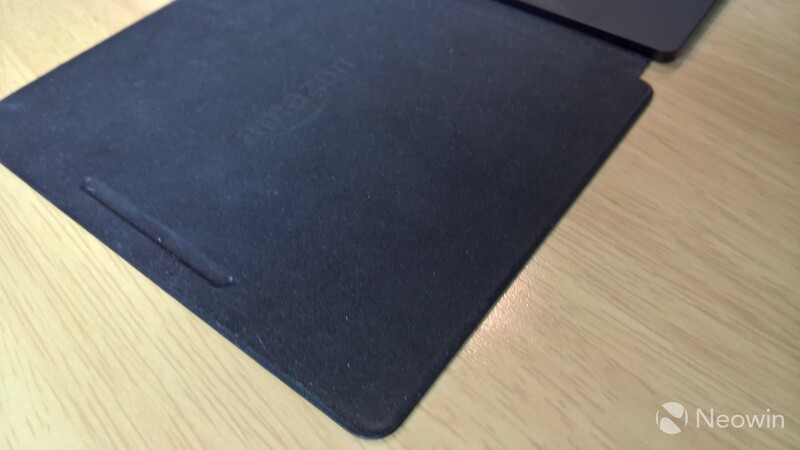 They make it super comfortable to turn pages and it's exactly where your thumbs want to go. 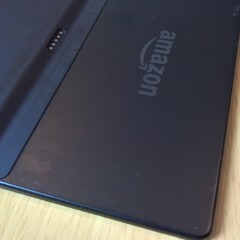 We tend not to talk about performance when referring to a Kindle. After all, it's not a tablet, so you're not playing games or watching movies on it. I would, however, say that the performance of the Oasis leaves something to be desired. When you open the battery cover, it takes a couple seconds to wake up, and then when you swipe to unlock the device, that takes another second or so. Sure, it's only a few seconds, and it's certainly not a big deal. 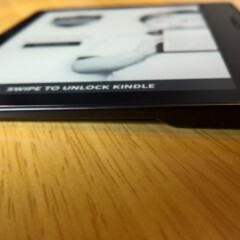 Still, it's a $360 Kindle, so I'd expect it to be pretty fast. 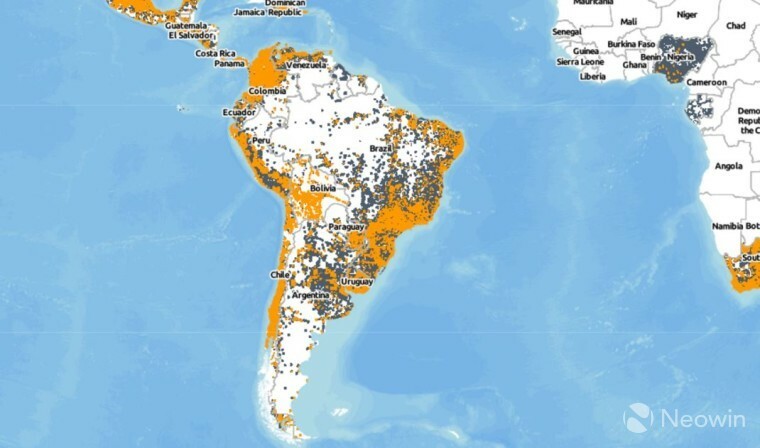 The 3G service seems to work just about everywhere. 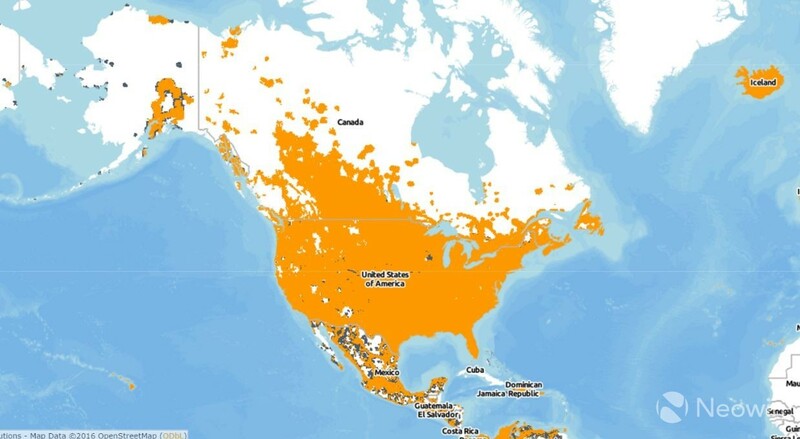 In fact, according to Amazon's coverage map, it does work just about everywhere in the US. 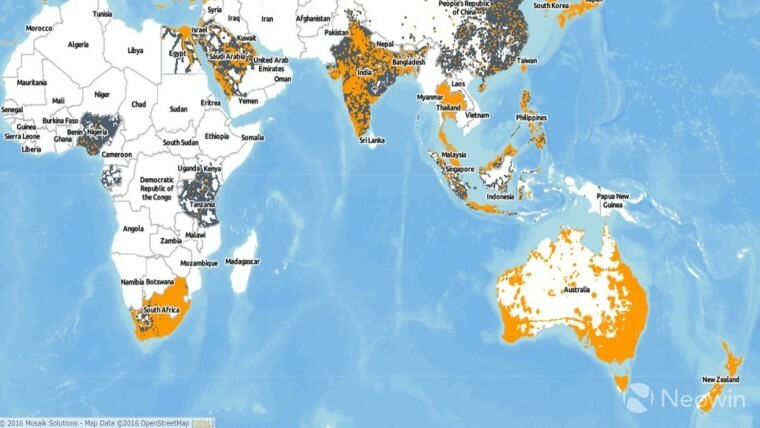 Note that orange areas are 3G coverage and dark blue areas are lower-speed EDGE/GPRS coverage. Not only does the 3G model get great service, but the service is completely free. 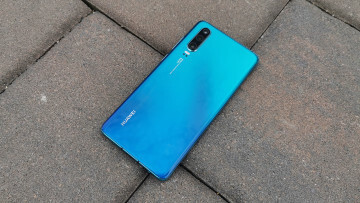 Of course, you're not going to be streaming movies and making video calls with it, but it's really nice to have a cellular device that you don't get a bill for every month. The 3G service isn't the fastest out there. 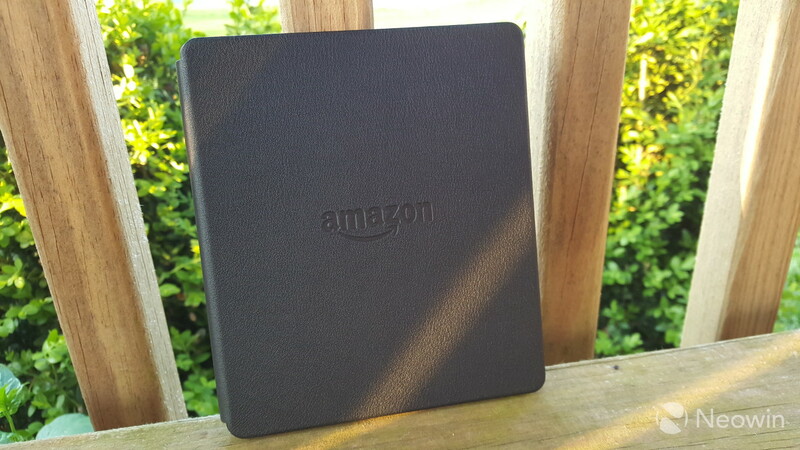 It's certainly no 4G LTE, but it's a Kindle, so you really don't need LTE. All you need it for is to make sure that your place in the book syncs (tip: if you read a book called Titanic, the Titanic will sync) and to download the occasional book, which 3G is just fine for. 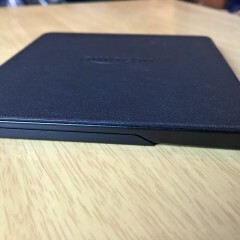 Yes, the Kindle Oasis comes with a battery case, which was something that I found to be a bit irksome, if only because I feel that the case is somewhat unnecessary and offering the device without it would offset the price a bit. 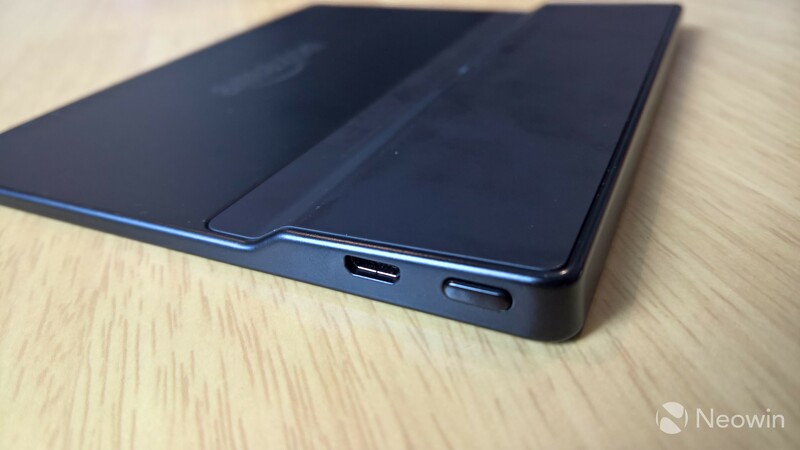 Amazon promises that the case will increase battery life from weeks to months, and this is just why I feel it's unnecessary. 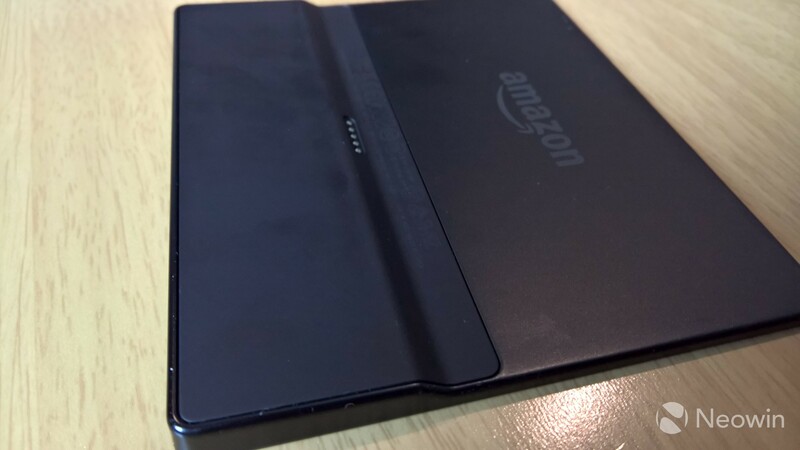 Is it that hard to throw your Kindle on a charger once every week or two? In fact, most of what I said in the "Design and usage" section applies to when you're using it without the case. 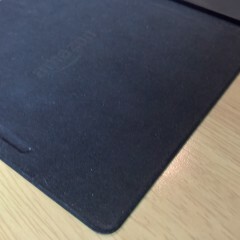 Once you slap on the case, it really feels no different to use than a regular Kindle. My usage has mainly been to carry it around while it's in the case, but remove the case prior to using it. Also, you can't charge the case on its own. 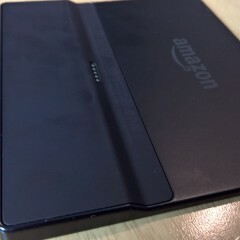 The only way to charge it is to attach it to the Kindle and charge the device. 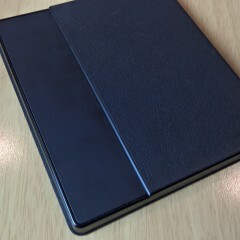 Of course, the big benefit to the case is that it protects the Kindle that you spent so much money on. It comes in three colors: black, merlot, and walnut; however, at the time of this writing, all except black were backordered for months. Battery life on its own seems to be about a week (without the case), possibly two. I don't have any way of performing any real tests like I would with a smartphone or tablet. If you ask me, that's a good thing. 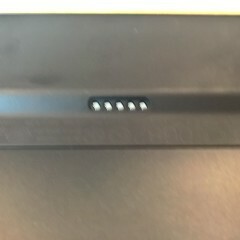 It means the battery lasts long enough that I couldn't put a definite number on it. 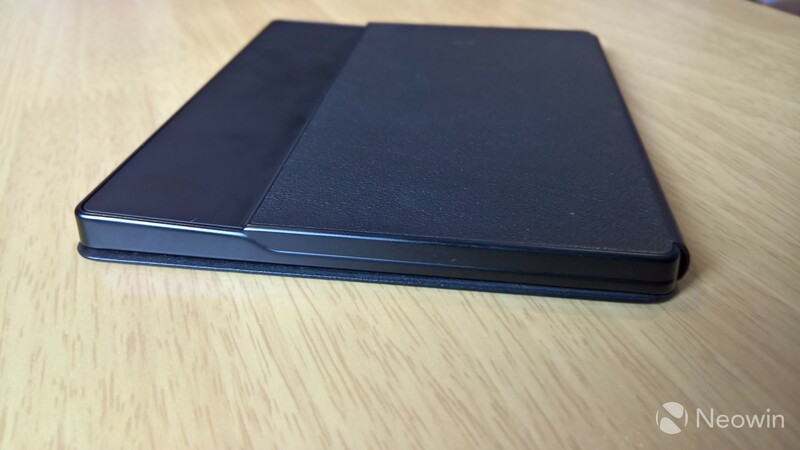 Of course, this is to be expected of a Kindle. 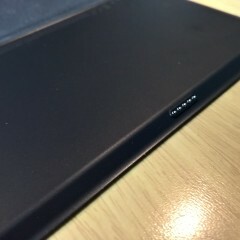 Note that at the current time, the charging cover is not sold separately, in case you wanted two. Personally, I wanted the merlot case, but I didn't want to wait until August for it to be delivered. It would have been nice to be able to buy that case separately. 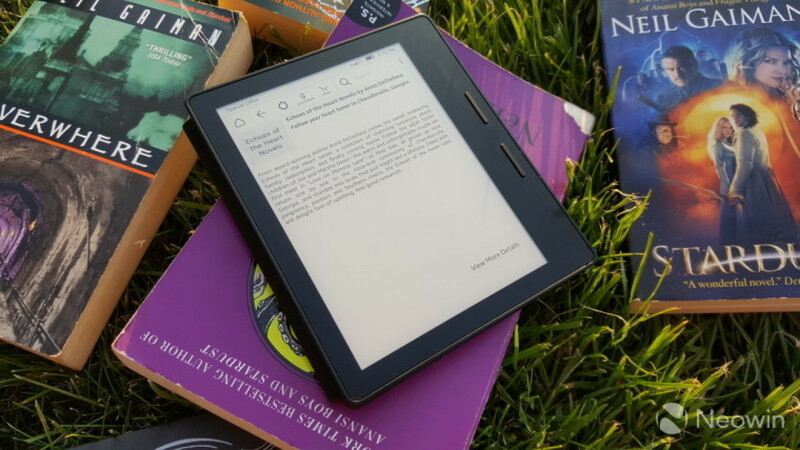 Is it the perfect Kindle? 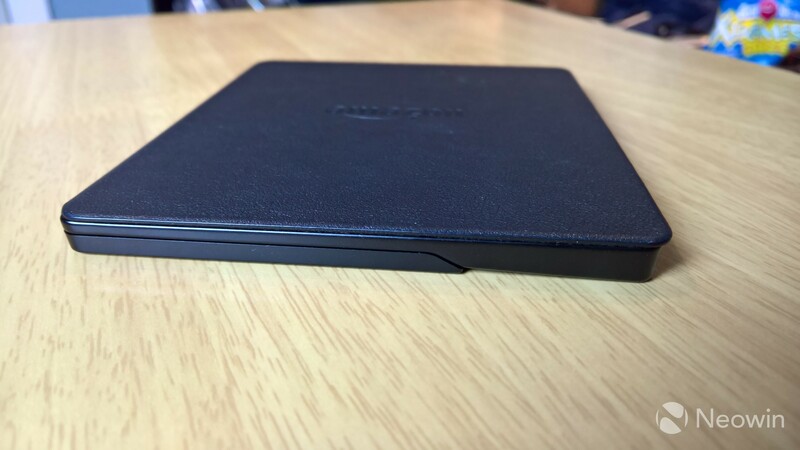 Make no mistake, I love the Kindle Oasis and it's just about everything I could want it to be, but is it perfect? The short answer is no. 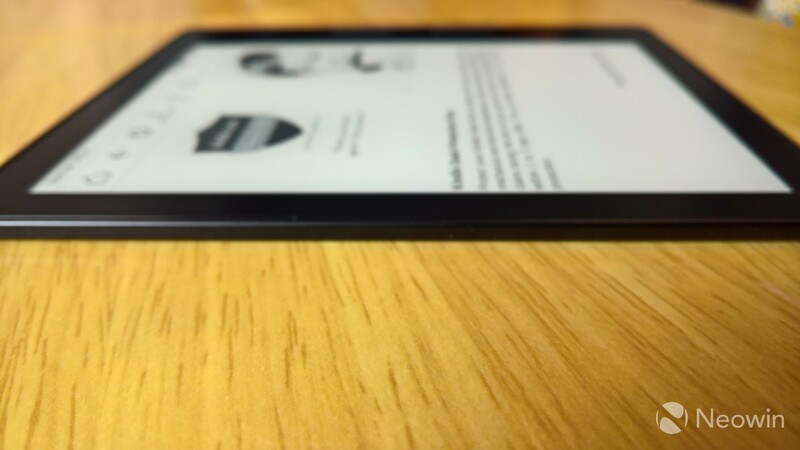 For one thing, we mentioned earlier that it doesn't have adaptive brightness, a feature that the less expensive Kindle Voyage has. 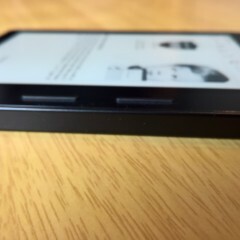 I also don't quite understand why the Kindle Oasis costs so much, and I don't believe that it's due to the sum of its parts. If I had to take a guess (and this is pure speculation), the price is mainly based on research and development. 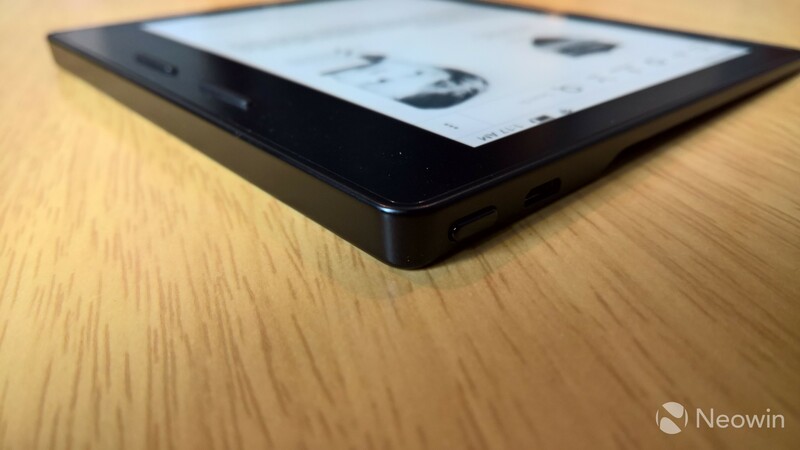 After all, the 300 ppi display is the same as the Kindle Paperwhite that costs $170 less. The actual performance remains about the same, so where does that extra money go? A few extra frontlighting LEDs? 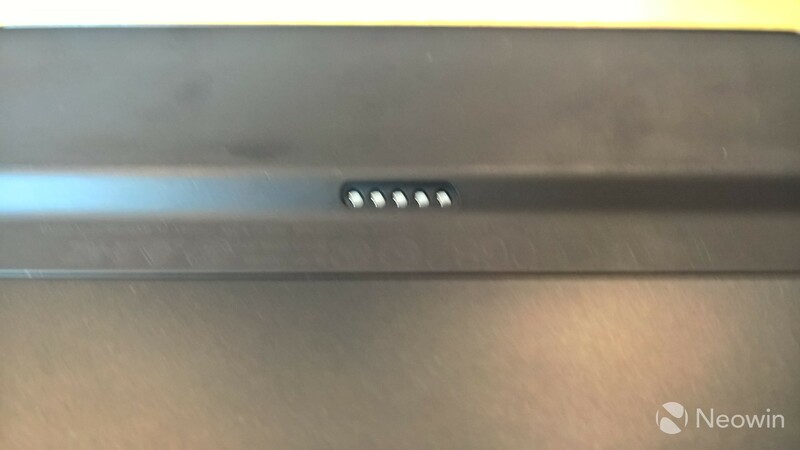 A battery case? 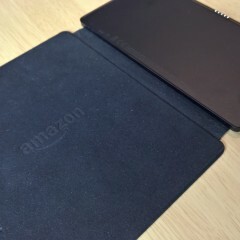 In fact, take a moment to consider the difference between the $79.99 Kindle and the $129.99 Kindle Paperwhite. 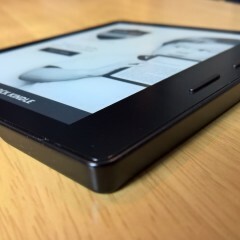 It's a difference between 167 ppi and 300 ppi; frontlighting and no frontlighting; and the Paperwhite offers a 3G model. This is what you get for not going with the very cheapest. As you move to the Voyage and the Oasis, you don't seem to get as much value for the additional costs. The Voyage is a bit lighter than the Paperwhite, has capacitive buttons, and it has the adaptive light sensor, all for $80 more than the Paperwhite. Then for $90 more than the Voyage, you pretty much get a battery case, if we're talking about features alone. Most of what's amazing about the Oasis is in how it's designed and the comfort of use. 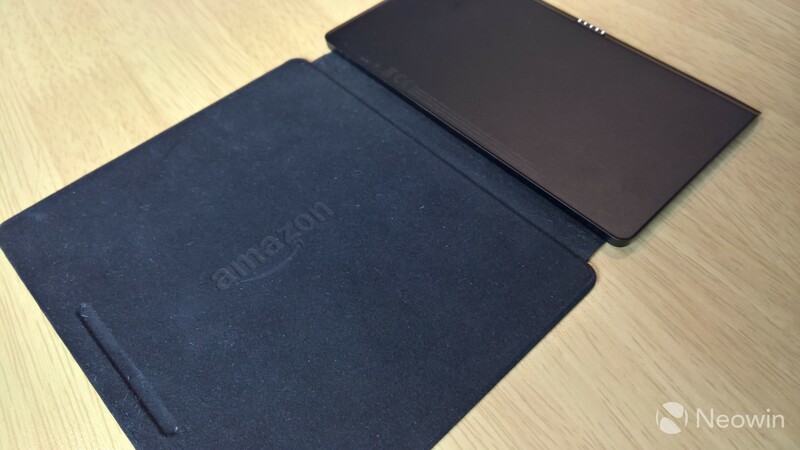 That being said, the Kindle Oasis could be a little cheaper, and Amazon could offer it unbundled from the battery case. 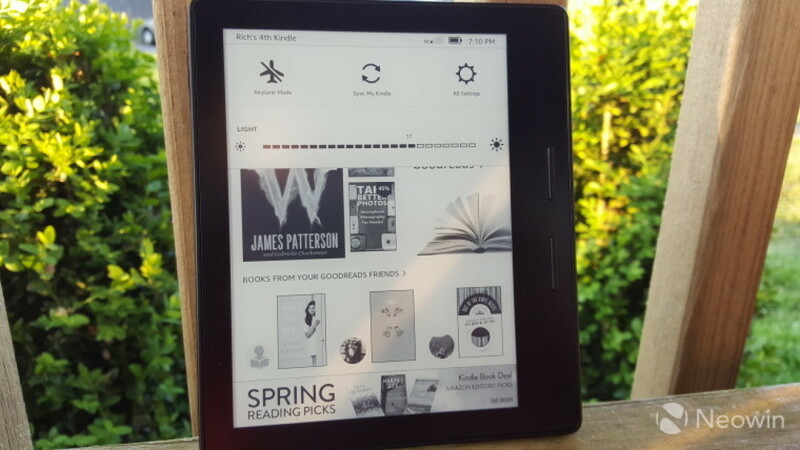 Of course, if price is no object and you don't mind adjusting the brightness from time to time, it just might be the perfect e-reader. When I tell people that I bought a $360 Kindle, they look at me like I'm crazy. 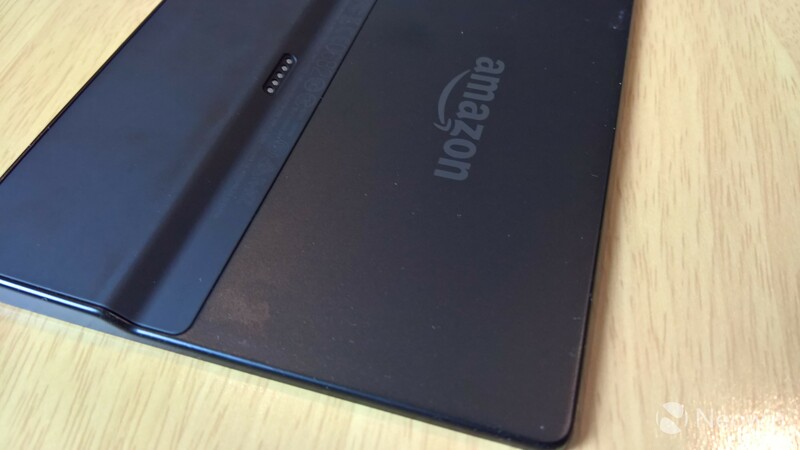 Obviously, the Kindle Oasis isn't for everybody when you can get an iPad Air 2 for a few dollars more. I feel like I mention this in every review that I write, but different things are important to different people. If reading is something that you care about (especially if you do it outdoors a lot), then this most certainly is for you. 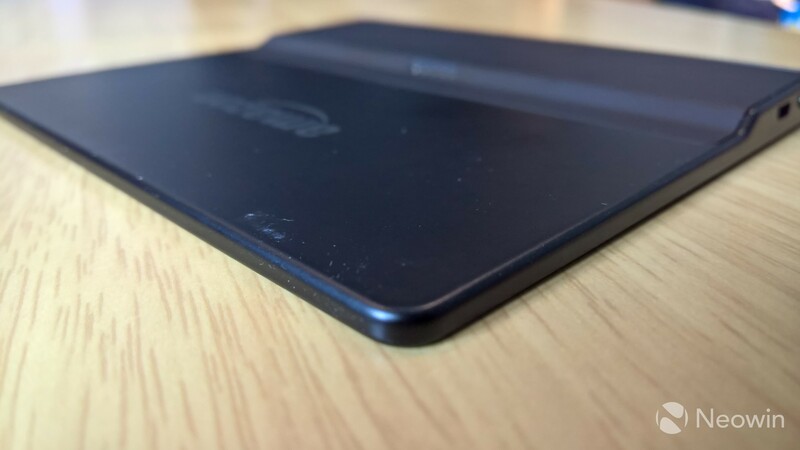 From all of my usage, I find the Kindle Oasis to be an amazing device, and with the exception of some very minor things, it is the perfect e-reader.